TAIPEI • Taiwanese police have rescued a kidnapped Hong Kong tycoon who was held hostage for more than a month and beaten up by a gang demanding a HK$70 million (S$12.6 million) ransom. Mr Wong Yuk Kwan, chairman of the Hong Kong-listed Pearl Oriental Oil exploration company, was found manacled on Tuesday in a village shack in the western county of Yunlin after being abducted in New Taipei City on Sept 20, the authorities said yesterday. 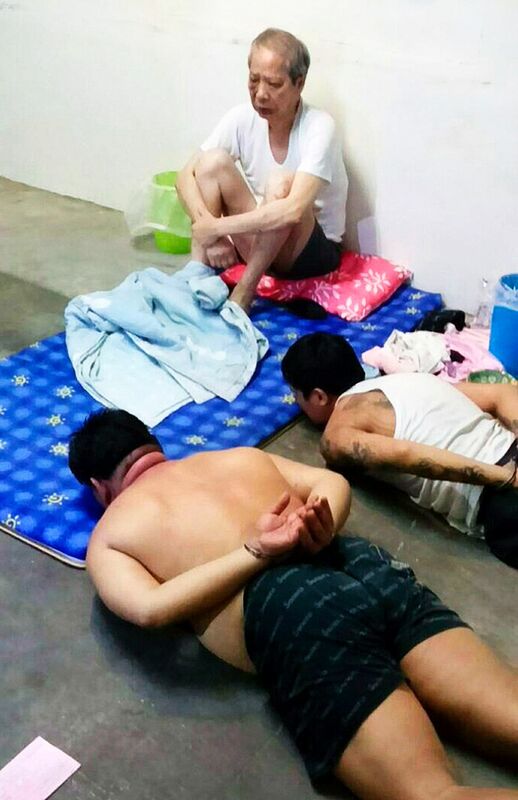 TV footage of the rescue showed the 67-year-old, also known as Wong Kwan, looking thin and frightened as he sat on the floor of a bare room with his feet shackled. His face was bruised and he was clutching his legs, which were covered in cuts. Mr Wong, a former chef who made his fortune in property investment, said he thought he could die at any time during his 38 days in captivity, Taiwanese media reported. "Every day, I felt I might not be able to see the sun the next day," China Times quoted him as saying. When he saw policemen break open the door to rescue him, Mr Wong said he felt he had "picked his life back from hell's gate". Fifteen people were arrested over the abduction, including the suspected mastermind. Mr Wong was taken to a hospital in Yunlin to undergo a physical examination. In e-mail messages to Mr Wong's office in Hong Kong, the kidnappers had demanded HK$70 million, to be paid in virtual currency bitcoins. An official from New Taipei City police said no ransom was paid. Taiwanese police were assisting Hong Kong officers with their investigations into the case. Mr Wong's company, in a statement to the Hong Kong stock exchange, said it was contacted by him yesterday. "Wong confirmed he had been kidnapped since Sept 20 in Taiwan until the night of Oct 27, when he was successfully rescued by Taiwan police," the statement said. The tycoon was able to resume his role with the company with "immediate effect", the statement said. Mr Wong is still facing charges that were brought against him and Pearl Oriental Oil executives in 2013 by Hong Kong's anti-corruption watchdog. He is accused along with three others of fraud and money laundering relating to the acquisition of an oilfield in the US. He has been free on HK$5 million bail since then, and was originally due to appear in court yesterday, the South China Morning Post (SCMP) said. Two of the defendants in the case were found guilty in May and sentenced to seven years and five years in jail respectively. Mr Wong had reportedly flown to Taiwan in February for a business trip, then claimed to have suffered an accident that required him to stay for treatment, SCMP said. China Post, a Taiwanese daily, said Mr Wong was kidnapped in front of his house in Xindian District, New Taipei City. Pearl Oriental Oil's main business is oil and gas exploration, and is valued at HK$957 million. Hong Kong has a long history of kidnappings targeting high-profile members of the business community. In April, Ms Queenie Rosita Law, the granddaughter of late textile tycoon and Bossini founder Law Ting Pong, was abducted and released three days later after her family paid her captors a ransom of HK$28 million. Nine people were arrested over Ms Law's abduction after a massive manhunt in Hong Kong.